This was inspired by my collection of vintage handbags and gloves...A doodle transformed into metal. This is probably one of my greatest (and earliest) achievements to date! Very cool! 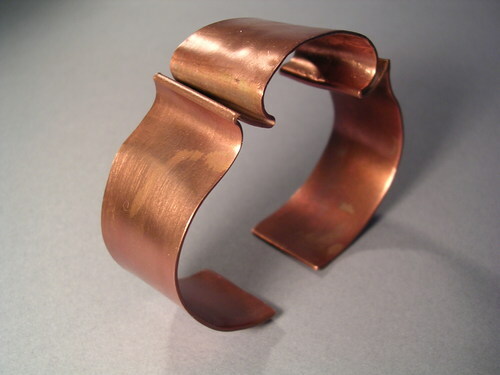 The Copper Cuff, originally a doodle on a post it note came to life with this piece! It is a large piece with folded creases across the width. Fun to wear and always gets noticed! 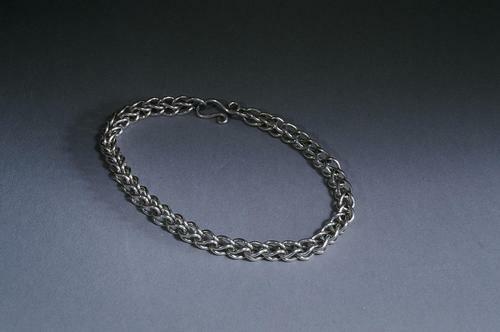 Hand crafted sterling silver links looped together to form a bracelet. Beautiful motion to the links, very serpentine! 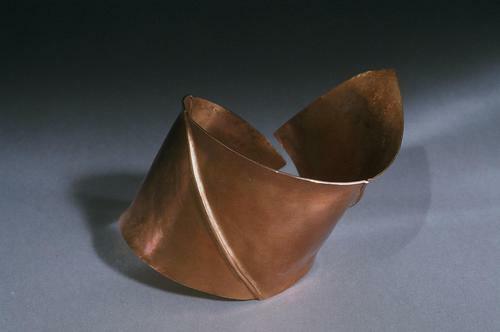 Fold formed copper bracelet. Curves reminiscent of exotic doorways. 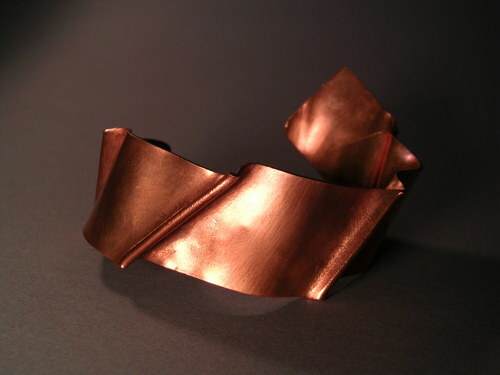 Fold formed copper bracelet. 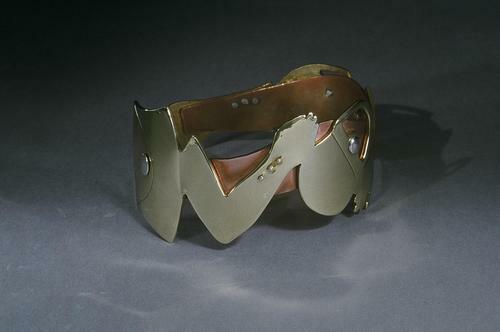 Wonder Woman would be proud to wear this, although it probably won't repel bullets. 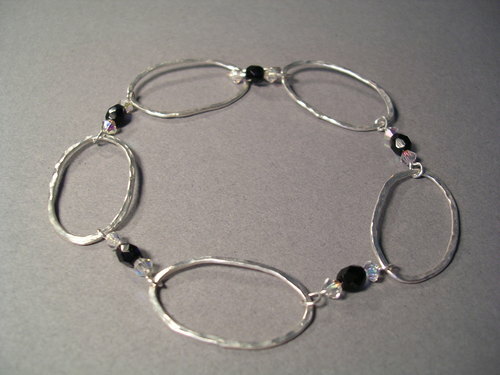 Sterling silver hammered links connected with crystal spacers. Contact me and order it with your choice of crystal colours.